Welcome to WangLembak.com. The purpose of this website is to create awareness and appreciation for the Lembak people of Indonesia. Feel free to peruse this site in English OR Lembak. We have posted photos, videos, and short articles documenting and describing the people. This website is a work in progress! More content will be added as resources become available. Post a comment or ask a question in the forum. Most of the content is from participant observation and informal interviews. We hope to continue to involve the Lembak people so they can tell their own story. Thanks for visiting! There are around 200,000 Lembak people. 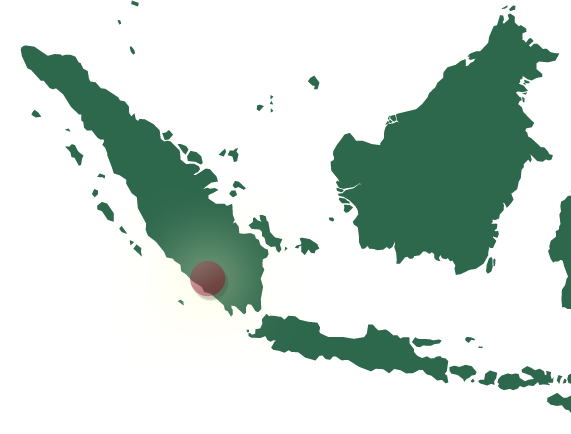 They primarily reside in South Sumatera between Lubuk Linggau and Bengkulu, although it is said there are pockets of Lembak found in Malaysia and other parts of Indonesia. The Lembak people tend to be known for their strong sense of family values, their hand skills, especially in the art of brick-making and construction. Many are rice field owners or rubber tree farmers. Their foods revolve around rice and delicious spices. There are at least four different dialects of Lembak, and their language is unique to them. A defining characteristic of their language is that many of their words end with an "e." The Lembak are 99% Muslim. They also have a strong sense of tradition and have many fascinating ceremonies. They are known for their "rabana" drums, beautiful wedding practices, traditional dances, and music. Take a look around and get to learn more.